Tyrion Lannister Lookalike Found In Pakistan & He Works As A Waiter! The man named Rozi Khan said that he gets stopped by strangers very often, who are desperate to take a picture with him because of his striking resemblance with Tyrion Lannister. Here's another piece of exciting news for the fans of 'Game of Thrones' finale series. Seems like we have found Tyrion Lannister's DOPPELGANGER! 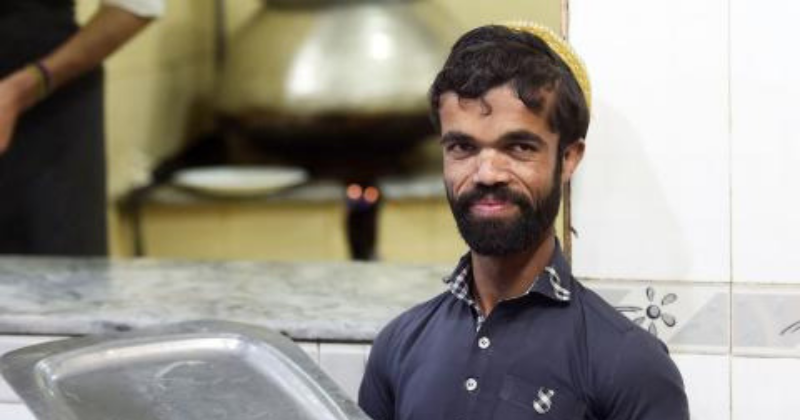 The 25-year-old man named Rozi Khan, who is working as a waiter in Pakistan, had never heard of the popular series until people started pointing out the striking resemblance with actor Peter Dinklage, who plays Tyrion Lannister in the series, reported Moneycontrol. Khan said, "I don’t mind. A lot of my pictures have been taken, that’s why I have become very famous everywhere." But, it is not only his features that caught people's attention, but it is also his height that is very similar to the actor. Khan measures around 4ft 5in, which is the same as the actor. Khan added, "Wherever I go, someone says to me: ‘Sir, who is this man with you on Facebook’, I say that he is my friend. ‘He looks like you’. I tell them he is my brother. It’s not a bad thing." Even since he has been spotted, his pictures have often been shared widely on social media alongside that of Dinklage. One user on Twitter wrote, "Sooo Tyrion Lannister’s been hiding out in Pakistan." Khan works at a tiny restaurant in Rawalpindi and says he would love to meet Dinklage someday. The restaurant owner, Malik Aslam Pervez told NDTV, "When he takes a day off or gets sick, people look for him and ask where did he go? They get upset. They love him. There is always a crowd here but it has boomed because of him." Dinklage won a Golden Globe or best-supporting actor in 2012 for his role as Tyrion Lannister. Well, if he ever needs a body double, given the unprecedented success of the show and his massive fan base across the globe, we all know where to look for. Raza Khan was born in Mansehra in northern Pakistan, said that he thinks of Dinklage as his friend and brother. He added, " love him very much, he is my friend... he is my height so I like him a lot." For customers, seeing the doppelganger of Tyrion is also a lot. Zain Hadri, one of the customers said, "When I saw him, I'm happy, I feel that I met with Lannister in real life."